In the early days of ePublishing, I had a difficult time trying to figure out why – WHY!?! – anyone in her right mind would prefer reading a story on a digital screen. Books are lovely! They’re beautifully designed. They feel nice in your hands. They smell good. (Yeah, you know they do!) Why would you replace that experience with a digital device? How could it possibly compare, especially when eBooks aren’t always less expensive? Two key experiences convinced me to give it a try. The first experience happened during grad school. I was constantly carrying around a battery of books to use as weapons against wasted time. However, since I would be working on multiple projects and papers at the same time, I never knew which book I might need. So, I carried them all. In my backpack. On my aching shoulders. It wasn’t fun. The second experience is really J.K. Rowling’s fault. While in grad school, studying to get my MFA through Stonecoast, I had to know why people were so ga-ga over that British kid Harry Potter. 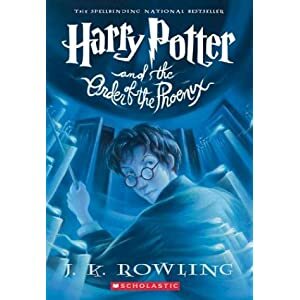 In 2007, after watching Harry Potter and the Order of the Phoenix, I decided I actually needed to read the books to understand the attraction. It was obvious why the films were so popular, but it was the book series that inspired the film. So, I started with book one and read the entire series, all seven books from beginning to end without stopping. The books not only got darker and more adult toward the end, but they also go heavier. Those last few books were massive! My wrists actually started to hurt from holding the hardbacks hour after hour until every page was consumed. I loved the series, but I never wanted to go through that experience again. That winter Santa, aka my lovely husband, put a Kindle under the tree for me. I was skeptical. It didn’t feel like a book. It was thin. It didn’t even smell like a book. There was no papery feel in my hands. Instead it was plastic. However, it did have a cool screen that was really easy to read because of the magnetic ink. Plus, it was light! I read my first eBook that day – a Sherlock Holmes short story. I didn’t know I was in love with my Kindle until I consumed the entire Jim Butcher series, The Dresden Files in a matter of days – in less time than it took me to read the Harry Potter series. The Kindle actually enhanced my reading experience by making it easier for me to read, which allowed me to read faster and to retain more information. It was a godsend. After that, the rest was history. Now, I am a huge – HUGE!!! – advocate for eBooks. I think they are the thing that will save the book industry. That said, I never want to lose books in print because they are just too lovely to let go. Plus, you can collect first editions for your favorite authors to sign. Fun! But back to the topic at hand, I loved eBooks so much that I jumped at the chance to make one. Recently, Nancy Holder and Debbie Viguie approached me about turning their short story “Passing” into an eBook (which is now available online). Their vampire series Crusade had really taken off, and people were mentioning that they wanted more. So, Debbie and Nancy thought turning their short story into an eBook might be a nice way to sate their fans’ desires until the next book in the series was released (Damned) in August 2011. As great as eBooks are to read, they don’t transfer seamlessly from a wordprocessing document format to an eBook format. If you think it’s a matter of hitting “save as” on your computer, you are mistaken. It’s not that it’s difficult to format the file for digital readers, it’s just that it is labor intensive and every character has to be formatted perfectly. You have to comb through the text, deleting extra spaces, changing tabs, setting margins, watching for odd special characters, and then verifying line by line that you have all of the italics right and that your punctuation makes sense. There are plenty of other little editing actions that are necessary to create a format that reads successfully across all (or most) eReaders. This is essential if you want to get into the premium catalog, which includes B&N, iTunes, etc., because they do not accept improperly formatted books. So, why aren’t eBooks free? Because people have to pay someone like me to sit and pour hours into the project in order for you to download the story onto your eReader. My project was just a short story. I’m sure there are many other challenges associated with creating a novel or larger project. However, the end result is worth the time, effort, and expense. Photo of my Kindle taken with my iPhone. There is something wickedly satisfying about loading my Kindle with ten books that I want to read and then jetting off to London, knowing that under other circumstances I’d either be carrying a backbreaking bag of books onto the plane or I’d be stuck with a book that I might hate once I got thirty pages into the story. When people ask me why I like the Kindle, there is too much to say without looking like I’m trying to sell them mine. So, I thought a little blog post on the joys of eBooking and Kindling might be just the ticket! If you pick up a Kindle, a Nook, a Sony reader, or some other device, I’m sure you’ll soon be singing its praises too. We smile, knowing that we’re not alone in our mad love for our eReaders. 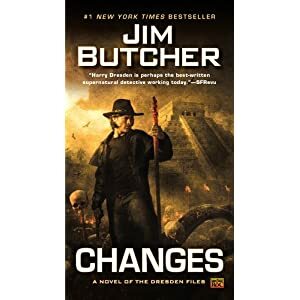 This entry was posted in Books and Literature, Uncategorized and tagged Amazon Kindle, Dresden Files, E-book, Harry Potter, IPad, iPhone, iTunes, Jim Butcher, nancy holder, Publishing, Sony Reader. Bookmark the permalink. I’ve still been buying paper books, because they are an addiction but it doesn’t stop me from agreeing totally with you. I freaking LOVE my Kindle so much. I love that I can change the size of the font, I love how easy it is to read on. I don’t love the geo-restrictions that I’m faced with though, that really frustrates me. Its the only thing I don’t love actually. And hey – your kindle is white! Erin, well said. While I don’t have a kindle, I’m a convert to ebooks on my iPad. I found it especially convenient on our recent trip to Australia. Not having to tote a bunch of paperbacks, saved room for those extra little purchases and saved money. Books are very expensive in Australia. A paperback that might cost $10.00 or so here, would cost about $25.00 in Australia. I was able to purchase books as we went along for US prices. Loved it!